On this week’s episode of The Mindy Project, Mindy Kaling was a breath of fresh Spring air in the same L.K. 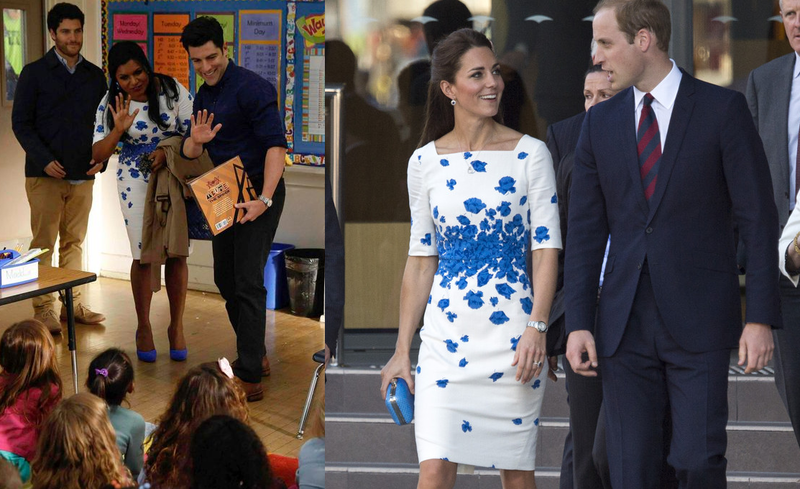 Bennett Lasa Print Poppy Dress that Catherine Duchess of Cambridge first wore yesterday in Brisbane, Australia. Both ladies kept the styling simple with blue pointed-toe pumps and half-up, half-down hairstyles. 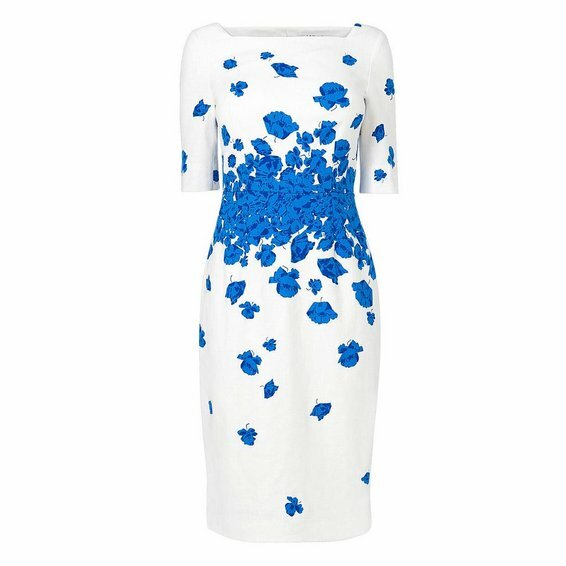 The poppy print dress features a figure-skimming fit, boat neckline, and three quarter-length sleeves. I think both ladies looked amazing! What do you think? Who wore the dress best? Visit www.lkbennett.com for more information. *Images courtesy of Getty and Fox.